Silversea is a luxury cruise line. Our intimate ships divided into Classic and Expedition sail to over 1000 destinations on all seven continents, more than any other cruise line. On board our Classic fleet guests sail up narrow waterways into the heart of a city or tie up right at the pier. All accommodations are spacious, ocean-view suites that include butler service, and most include private verandas. On board our Expedition fleet every journey is new and unique and our guests are fully immersed in the world’s most unspoiled landscapes. They follow the routes of early explorers for a journey above and beyond, discovering the romance of the seas as we take them from pole to pole across all seven seas. We are passionate about service and profoundly committed to maintaining the highest standards. Our service is richly personalised, genuine and caring, where every wish, every need is discretely anticipated and promptly delivered. A staff-to-guest ratio of nearly one to one ensures that every guest’s wish is fulfilled with earnest precision. In July 2018, Silversea Cruises, operated by the Lefebvre family of Rome, has officially joined the family of Royal Caribbean Cruises Ltd. This partnership will enable Silversea Cruises to realise the vision of being the uncontested leader in ultra-luxury cruising and expedition, taking guests to more than 1,000 destinations aboard some of the world’s most luxurious vessels. Silversea enables guests to travel deeper to explore the authentic beauty of the world, offering rich itineraries that encompass the planet’s most spectacular destinations. With expertise and a commitment to unlocking unforgettable experiences for our likeminded guests, we seek to provide life-enriching adventures in utmost comfort and unprecedented luxury. We make the satisfaction of our guests our first priority by providing superior service and being genuinely concerned about each guest’s individual needs. We take pride in our product, our organization and in ourselves. We strive for the highest level of quality and integrity. We work as a team by committing ourselves to the success of the company, respecting our co-workers and travel partners. 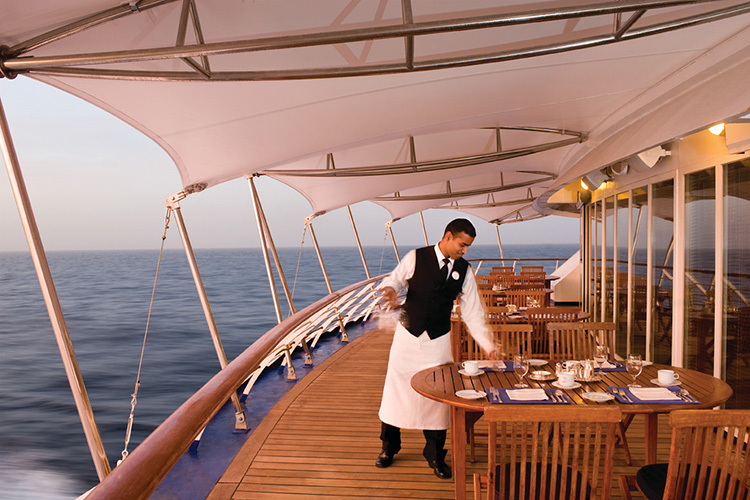 Providing impeccable service to each guest is critical to Silversea’s overall success and defines the company’s corporate philosophy. Taking initiative to exceed expectations, our staff’s bespoke attention to detail permeates all that we do. Our award-winning personal service both embraces and celebrates the individuality of our affluent, discerning guests. If you would like to work for one of the most respected organisations in the travel industry, ‘World’s best cruise line’ Silversea invites you to explore their current career opportunities, we are currently recruiting for our future planning to fill anticipated roles. We look forward to receiving your application.